In recent months, I’ve been working on a number of motivational and leadership programmes for Miele, a leading, family-owned German company who are in the ‘best in class” in what they do. Last week, Dr Reinhard Zinkann, the great-grand son of one of the founding partners, co-owner and Managing Partner, delivered a speech in which I believe summarises reasons for their success. I’ll expand on these points and trust you will find them compelling. How many times have we met with challenges in or own business when a client says our solutions or services are “too expensive”? A Mercedes Benz car may cost a lot but it may not necessarily be expensive for the value it delivers. So here’s a great approach to how we do anything: deliver exceedingly good results, a quality product that lasts for years, and exceeds customer expectations. Quality is remembers long after price is forgotten. The problem in may organizations is a lack of ability to cascade these value points down to the frontline of the business; and where our sales professionals are selling ‘boxes’ versus a solution to our needs. 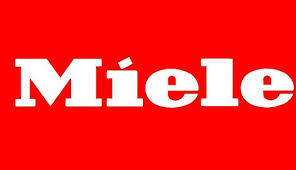 Miele makes, arguably, the world’s best washing machines and related appliances. The best is never made cheaply. This company used to make a number of products, including, at one time, motorcycles. It now mainly makes one type of product, with many variations of the same product category. Focus carries huge benefits in terms of economies of scale, accumulating a wealth of knowledge that spills over to all other aspects of their products, not to mention avoiding dilution of their efforts. This is so much better than coming out of a meeting with a thought like “ Great, we’ve got an inch of progress in 20 different directions.” When you focus on becoming the best in a category, everyone will acknowledge your leadership in that area. Apple Computer’s legendary CEO, Steve Jobs was said to be an owner of a Miele washing machine, and praised the company for it’s design ethic.